It is very important to remember that bicyclists have the right to share Maryland roads with motorists. In Maryland, bicycles are considered vehicles. Motorists do not have an exclusive right-of-way when traveling on our roads. While bicyclists must obey traffic laws, riders also have the right to expect motorists to meet their duty of care to take reasonable steps to avoid a traffic accident. 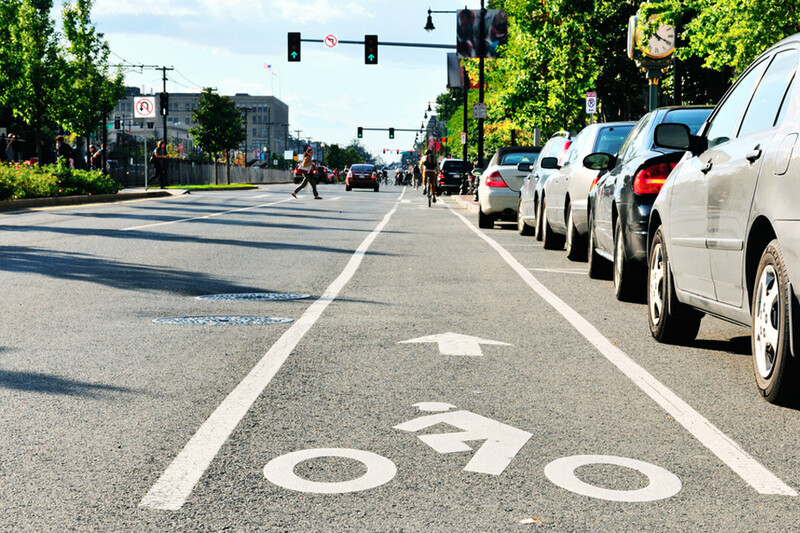 The steps motorists take while behind the wheel can cause or prevent bicycle accidents. With that in mind, below are some tips from our Parkville bicycle accident attorneys for sharing the road with bicyclists in Maryland. How Can Motorists Avoid Bicycle Accidents? Always pass at a safe distance. The minimum passing distance is three feet. When passing a bicycle, make sure that you can clearly see the rider in your rearview mirror before pulling back into the lane. Motorists must yield to bicyclists when the motorist is turning because the bicyclist has the right-of-way. A motorist must yield the right-of-way to a bicyclist when the rider is lawfully operating the bicycle in a crosswalk. The motorist should look for bicycles coming from both directions when approaching a crosswalk. Before opening the door to a vehicle, always look to ensure that a bicyclist is not approaching. Dooring can cause severe and life-altering injuries for riders. When approaching a bicyclist, reduce speed and proceed cautiously to pass the rider. Never tailgate or blast the horn when following a bicyclist. Watch for children on bicycles near schools, parks, and in residential areas. Young children may make sudden changes in direction and may not understand traffic laws for bicyclists. Avoid distractions when driving. A second of distraction could cause a tragic accident that severely injuries a rider. Be very careful when making turns after passing a bicyclist. Do not assume you can speed ahead of a bicyclist and make a right turn before the rider catches up with your vehicle. Motorists often underestimate the speed of a bicycle. Check for bicyclists before making left-hand turns. It can be much harder to see a bicycle compared to a motor vehicle, especially if you are not paying attention. Backing up can be dangerous as well. Be sure to check to ensure a bicyclist is not near your vehicle before backing up, especially children on small bikes because they are difficult to see. Never park or drive in a bicycle lane. The Maryland Department of Transportation provides additional information about bicycle safety for motorists and riders on its website. Immediately call 911 for emergency assistance. For your health, it is best to be checked by a doctor after a bicycle accident, even if you believe your injuries are minor. Any delay in medical care could jeopardize your ability to recover full compensation for your injury claim. Therefore, protect your health and your right to compensation by seeing a doctor immediately after a bicycle crash. If possible, take pictures or ask someone to take pictures of the accident scene. Also, ask for the names and contact information for anyone who witnessed the bicycle accident. Avoid discussing the claim with the insurance company for the driver. The insurance adjuster does not work for you, even if you have the same insurance company as the driver. Written or recorded statements and medical releases are designed to elicit information the insurance company can use to deny or undervalue your claim. Document all expenses related to the crash and your injuries. You cannot receive compensation for expenses you cannot document. Do not accept a settlement offer without consulting a Parkville bicycle accident attorney. In many cases, the insurance company offers a low settlement to prevent paying more money in the future. An experienced Parkville bicycle accident attorney can help you determine if the settlement is fair or if the insurance company is attempting to take advantage of you. The above steps are just a few of the things you need to be aware of after a Maryland bicycle accident. Our Maryland bicycle accident attorney reviews your legal options and the steps you should take to protect your rights during a free case review. Contact Pinder Plotkin LLC by calling 410-661-9440 to schedule your free consultation with a Parkville personal injury lawyer. You may be entitled to substantial compensation for your injuries and damages.